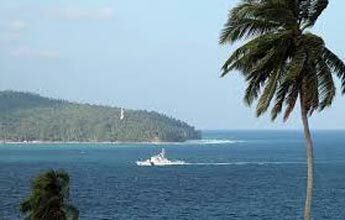 Early morning departure to Baratang Island by road (110Kms) which holds the nature's best treasures gifted to the Islands. Limestone caves & Active Mud Volcano are a must see points for nature lovers & leisure travelers alike. The Road journey from Port Blair to Baratang involves crossing through creeks and dense equatorial forest. After checking in at Respective Resort, freshen up and leave for Lime Stone cave trip. This involves a creek journey in small boats. After getting down from the boat, trek through a small village to reach the caves. 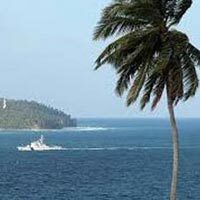 Return to Port Blair. Morning departure program begins with the sightseeing tour in and around the city like Cellular Jail Fisheries Museum (Aquarium) - exhibits species of marine life peculiar to the islands, Anthropological Museum - displays tribal essential and artifacts', Naval Marine Museum (Samudrika) - gives a good retrospect of the history, shells, Corals marine life, geography and archaeology of these islands. transferred to the hotel.Rest of the evening is at leisure for last minute shopping on own.